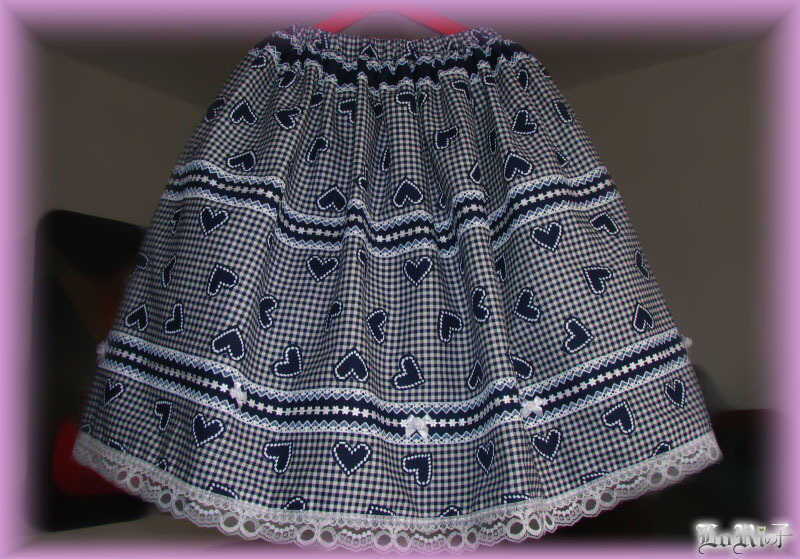 White-blue skirt from tartan fabric with small prints of hearts. 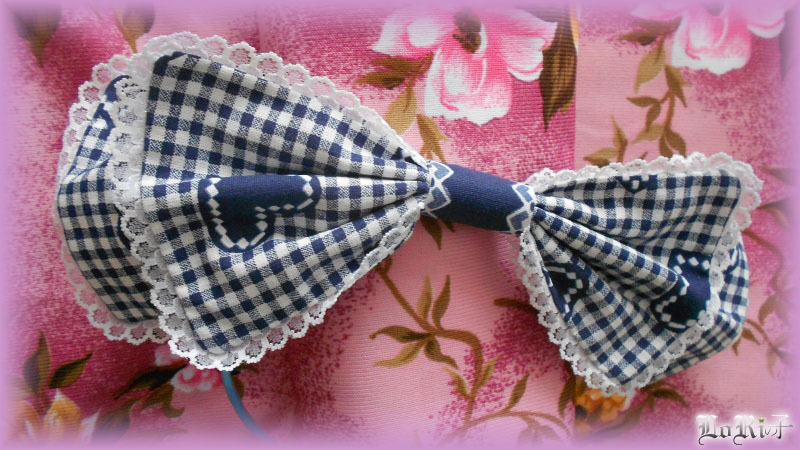 It is decorated with two types of lace and small applications are sewed in manually. Waistband is elastic. 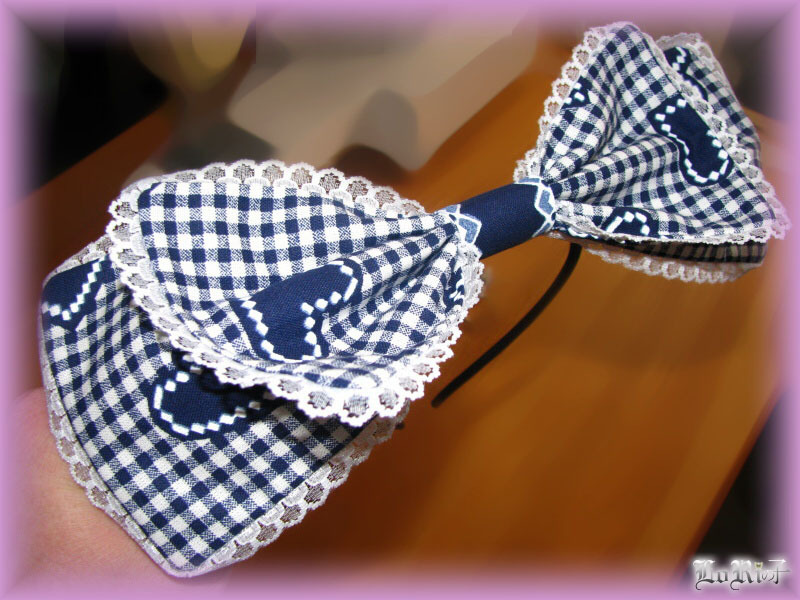 It also contains the ribbon headband.